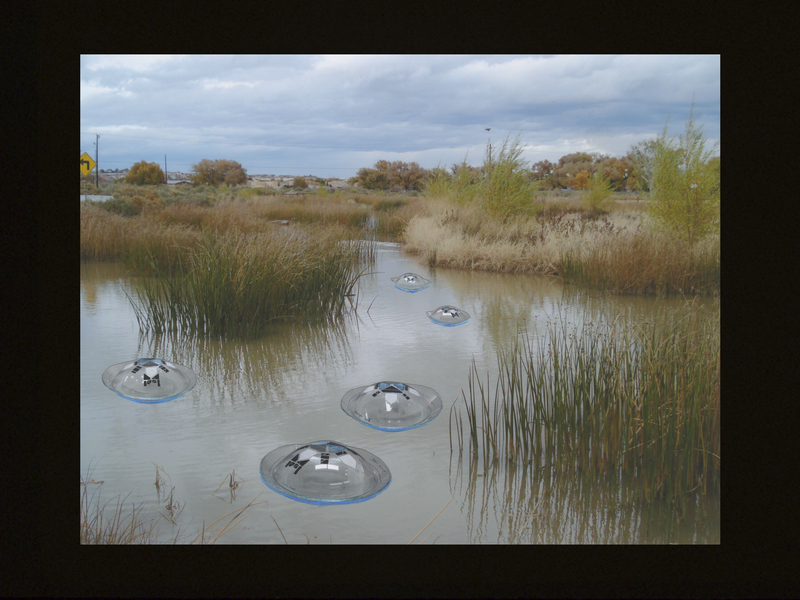 A community of photoactive independent floating pods that both generate subtle task night-lights and aerate the pond/ wetlands via solar power generation. The design and engineering are bio-inspired by organisms, some local some faraway, that make use of sunlight for energy with these sample species used to generate the pedagogical material for educational outreach. A solar engineer was consulted for designing in maximum efficiency. 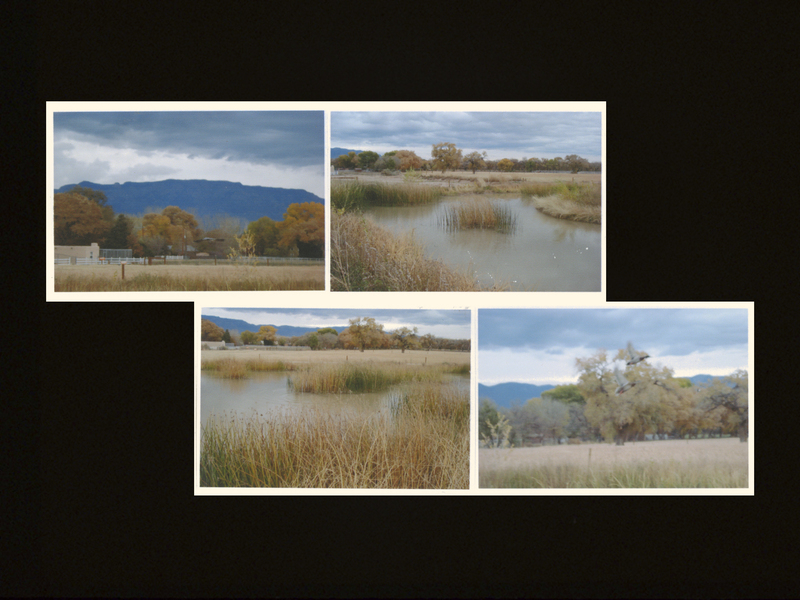 This series of related site-specific land art projects was proposed for an ISEA 2012 prospectus to create an alternative energy proposal for the Open Space Visitor Center, Albuquerque, New Mexico. 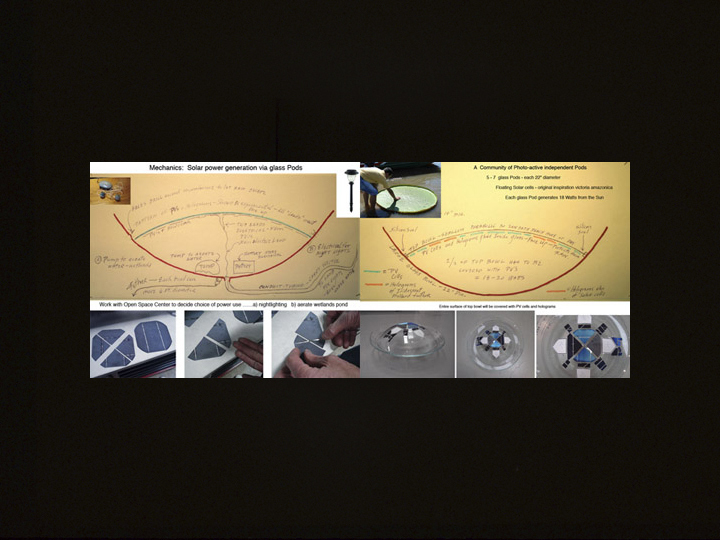 Five to seven 22” high-lead concave glass bowl/pods, photovoltaic cells, DCG holograms, electrical components, pump, night-lights; overall dimensions variable.